Oh my these apricot jam quesadillas are delicious! The apricot jam really kicks the quesadilla to new levels. 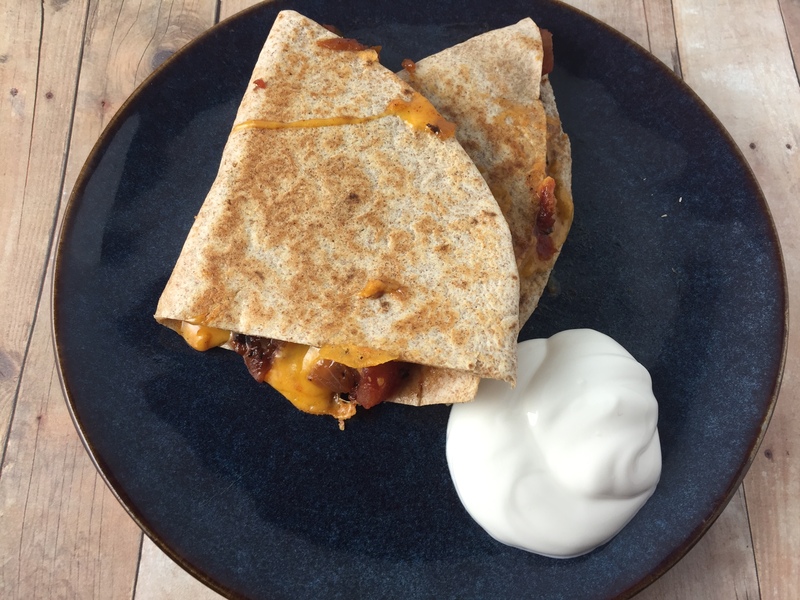 The recipe was inspired by this post for Apricot Salsa Quesadillas on Top with Cinnamon. Saute the onions, bell pepper, and green chilis until browned. Add the tomatoes, cinnamon, apricot jelly and salt and cook until it gets all yummy and most of the liquid has evaporated. Take your tortillas and spread around the cheese, then add some of the tomato apricot jam mixture and fold in half. Heat butter in a skillet and add your quesadillas and cook on both sides until the cheese is melted and the outside is a little brown. Serve with sour cream.